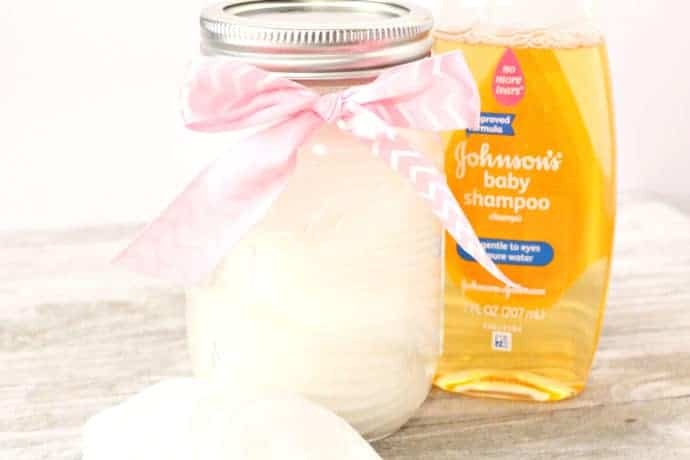 You can make your own homemade DIY makeup remover pads and save a fortune in beauty supplies with an easy home recipe that actually works. The gentle cleaning solution is perfect for eye makeup! 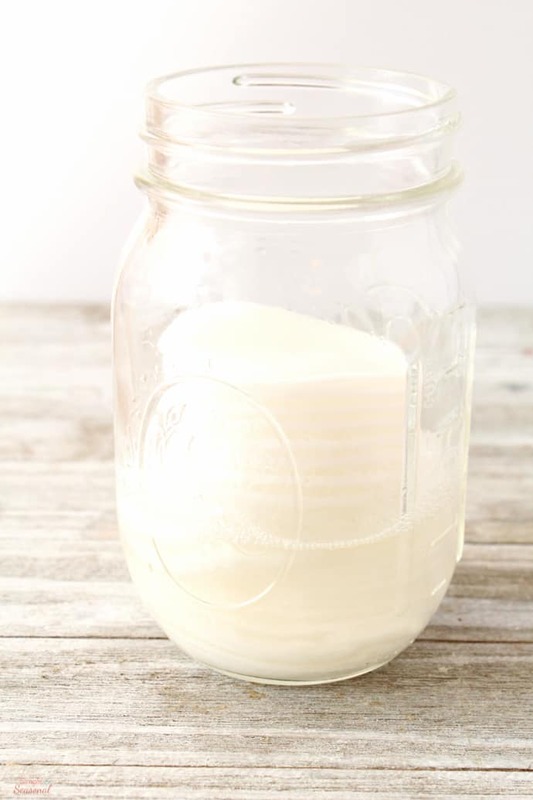 In my first year of blogging, I did a post about DIY makeup remover that costs just pennies to make and works as well as any brand of cleaner I’ve ever used. I have made that same “recipe” a couple times and I still love using it. Some homemade products make these claims of greatness but don’t quite follow through and deliver. But not this one! 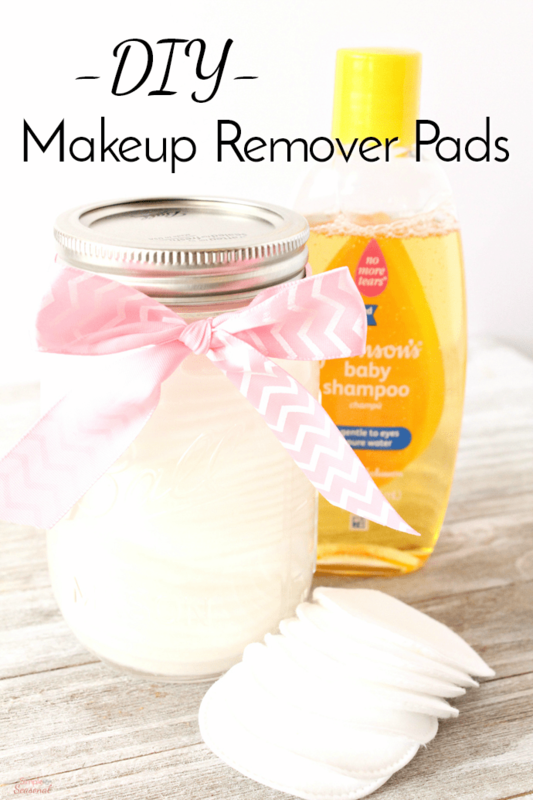 I can get all my mascara off with just one or two of the DIY Makeup Remover Pads! I saw a pin from Enjoy the View and she made cleaning pads with her makeup remover. I thought this was a great idea! I already had all the supplies I needed for making DIY makeup remover pads with my own ingredients and I finally put them together. It was so successful, I’ve done it over and over for the last several years! 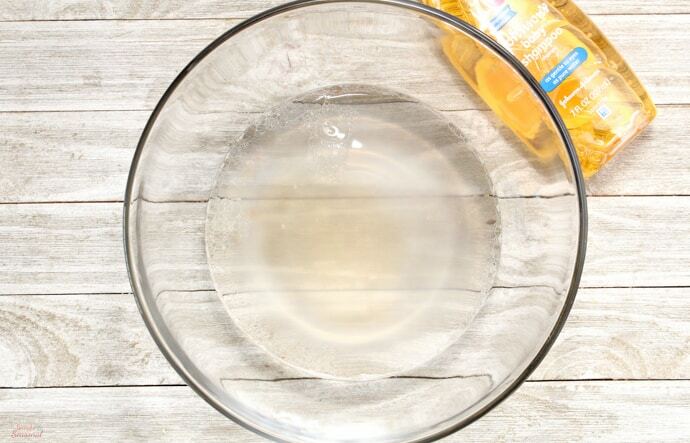 Mix water, shampoo and oil in a small bowl. Pour a little into the bottom of the jar. Place cotton swabs on top of cleaner and press down to make sure they get saturated. Repeat until jar is full of saturated makeup pads. I had 1/2 cup of remover liquid leftover, so I just stored it in a jar so it’s ready for next time. I tied a little bow around the top of my jar since it will be on display in my bathroom. 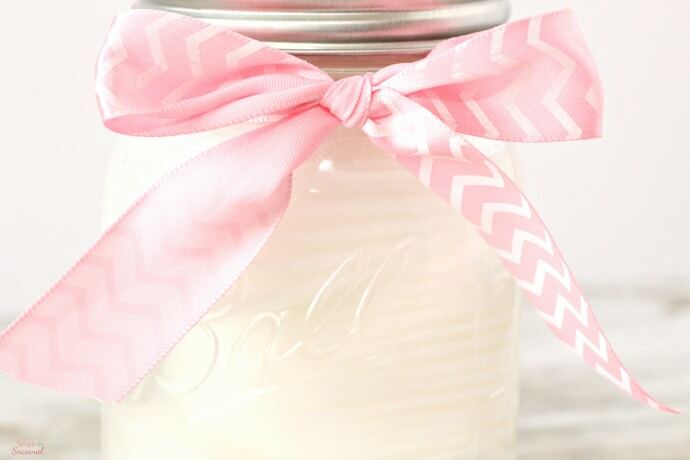 I just wish I had a Silhouette to make a cutesy little label for my jar! 🙂 But that’s OK. My satisfaction will come from how much money I’m saving by using my own DIY makeup remover pads instead of a tiny package from the store! You can use regular tap water if you make a smaller batch, or plan on using it up quickly. Using distilled water, however, will keep it fresh for longer and you won’t get a yucky smell coming from the pads after a month. Another option is to keep any leftover solution in an airtight container in the fridge and just saturate a few pads at a time. I loved reading this thread! I must add it’s CRUCIAL to use distilled water when making ANY mix. Water quality is key! Learned the hard way on many occasions ??. 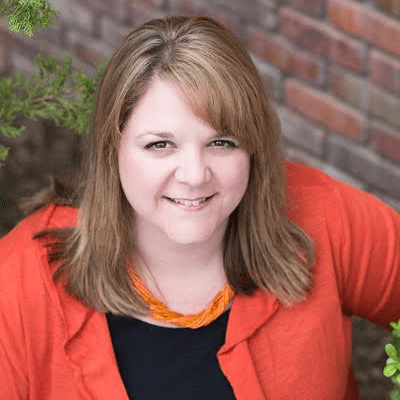 Yes, if you’re not going to use it up very quickly, go with distilled for sure! CAN I USE ROSE WATER INSTEAD OF PLAIN WATER? I’ve never tried that, so I can’t tell you for sure. Is rose water gentle on the eyes? That would be the only hangup- you want something that won’t irritate your eyes. I changed this recipe to include 1/4 cup of either rose or orange water. I used 3/4 c. Filtered water. Came out great and I added a 1/8 c. of toner. I keep this in the fridge as this helps to reduce puffiness. Using filtered water and keeping it in the fridge are both GREAT ideas! It will make the mixture last longer as well. I’m going to have to try that with my next batch! Omg I don’t even buy my 12 year old makeup remover I just tell her to go into the bathroom and grab her baby sisters shampoo !!! 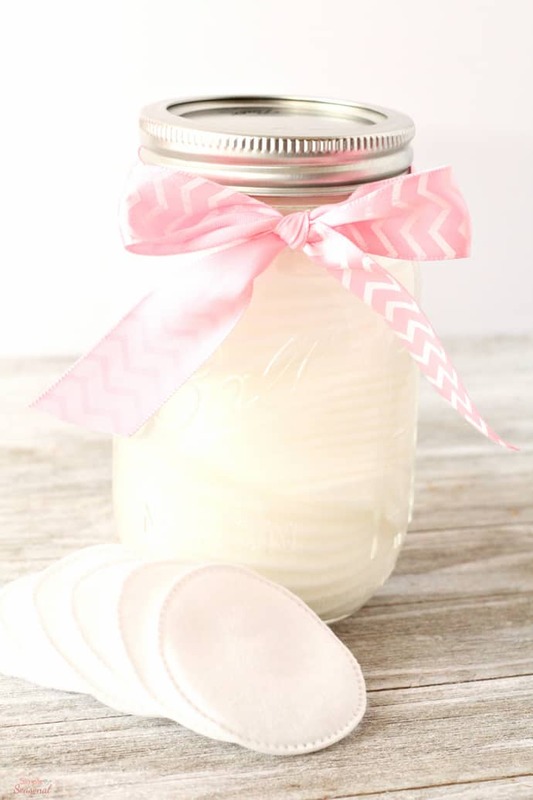 what diy makeup remover recipe you have for person with sensitive skin. I was just wondering if you could use baby wash instead of shampoo? I have baby wash on hand along with the other ingredients but didn’t know if anyone else had tried this. I think it would be the same. You are just looking for a gentle cleanser that won’t bother your eyes. I love this idea! Thanks for posting this! It’s nice to have the pads ready since sometimes I can get lazy…but since it’s super critical to clean your face and not go to bed with makeup on, this will be encouraging and make it easy-and with simple cheap products! I had a particular type of eye infection/issue, the eye doctor said to use baby shampoo to wash out my eyes every morning and night. It did not burn or dry my skin out at all. I use it all the time now. This sounds great however I am wondering how it is preserved as water breaks down and stagnates? Are there preservatives to prevent this happening? I tried this but after a week they started to get mold. Do you know how I can prevent this? should I add more or less water or a little bit of salt? You may want to try using distilled water. I would also make sure that you really squeeze out the excess water.